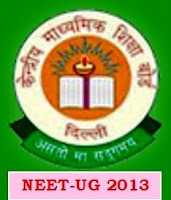 Now CBSE (Central board of secondary education) released the Counseling letters for selected candidates on NEET-UG Exams 2013. I also got so many emails from many candidates about the counseling dates and counseling letter and everyone ask me about admission in Govt. collages, so here I am giving you a link to get your counseling letter online. Candidates have to fill their roll No, Registration No. and Date of Birth to downloads their counseling letter online. Click here to get your Counseling letter online. For more details and updates stay connected with us, and you can also follow us by email updates. sir when i am clicking submit button on link it gives msg..
Counselling letter for 15% All India Quota seats have been issued to candidates as per notice uploaded at cbseneet.nic.in. Pl. check your eligibility for Counselling letter in the Notice Section of the website. counselling letter for 15% all india quota seat have been issused to candidate as per notice uploaded at cbseneet. nic. in. pl. check your eligibility for counselling letter in the notice section of the website.